The Principality of Monaco was the first sovereign country ever to establish a consulate in the State of Nevada. Henry Leigh Hunt was tapped by His Serene Highness Prince Rainier III on May 2, 1955. 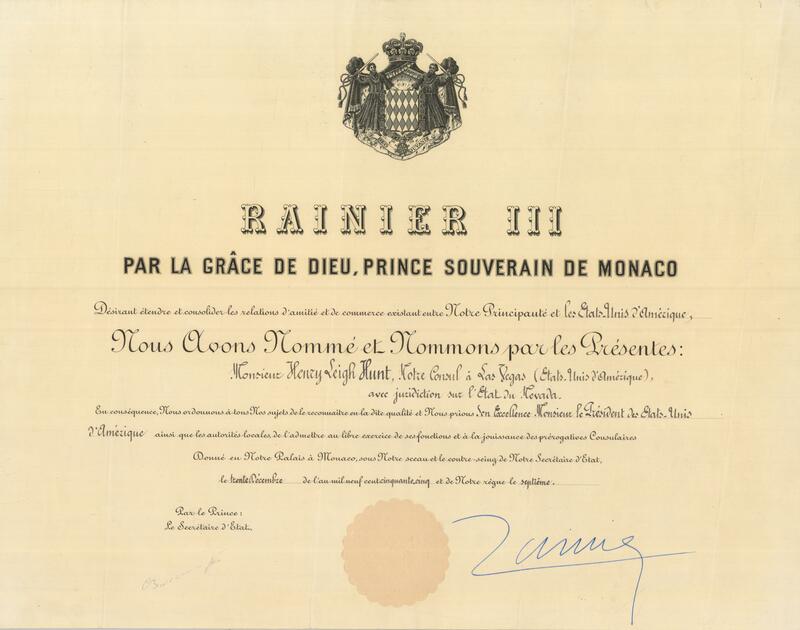 The Principality formalized the appointment on December 30th, 1955. The appointment was confirmed by exequatur of President Dwight D. Eisenhower and Secretary of State John Foster Dulles on January 30, 1956. The Consulate of the Principality of Monaco in Las Vegas occupied the home of Consul Hunt at 110 S. 9th Street, at the corner of Fremont and 9th Streets. 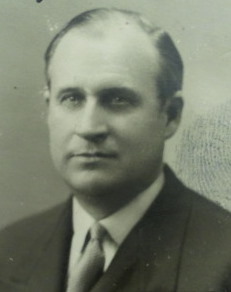 Consul Hunt retired in 1963, and passed away in 1972. Almost never photographed, world traveler Henry Leigh Hunt was no stranger to the literary world, mining, international banking and real estate development, Hollywood, French society, and the complex machinations of Las Vegas. In the roots of his consular appointment are entwined famous authors, magnates, artists, stars of the silver screen and Spanish royalty. All of these are further enmeshed in the Cannes Film Festival, the development of the Las Vegas resort corridor and the Las Vegas suburbs, and even the introduction of Prince Rainier III of Monaco to Grace Kelly. Truth, in Las Vegas, is always stranger than fiction. Leigh S. J. Hunt was and Indiana farm boy, born in 1855 to parents also native of that State. He grew up to educate himself by correspondence course, and eventually became the third President of Iowa State University before he was 30. Restless, he headed west to Seattle. There he bought profitable mining interests in the remote Monte Cristo mine, selling his stake at tremendous profit to John D. Rockefeller in 1890. Hunt purchased two seattle weekly newspapers and combined them in to one daily paper, creating the Seattle Post-Intelligencer. He started a bank, developed real estate and became the Seattle’s wealthiest citizen, all within a few years of arriving. Then, he lost it all. The panic of 1893 crushed Leigh Hunt’s assets. He managed to save the newspaper and for a while the bank with bailouts from JP Morgan, but ultimately went personally bankrupt, taking down his team of Seattle investors with him. A few years into the successful run in Korea, Hunt returned to Seattle and arranged what many called the most elegant dinner in the City’s history, at the Butler Hotel. He invited the investors who had lost their stake in his earlier bankruptcy. After an opening toast to the bewildered group, Hunt asked them each to look under their plate. There they found a check made out to each investor for the full amount owed, plus interest. Under medical advice to move to dry weather for health reasons, Hunt left Korea. The Sudan and Egypt’s upper Nile were recommended. Once in the Sudan, Leigh Hunt’s agricultural education came back to life and pointed him in the direction of his next fortune. Soon he began working with a team of other experts, including renowned fourth-generation botanist Philippe de Vilmorin, of Paris. Philippe’s father Henri de Vilmorin had done in-country testing of seeds in Egypt 3. His son continued the research and expanded its scope. Leigh Hunt’s agricultural education in Iowa combined with de Vilmorin’s dynastic horticulture research to develop seeding, irrigation and harvesting processes which established Egyptian long-staple cotton, on the banks of the Blue Nile 4. Hunt partnered with Booker T. Washington to bring skilled black Americans from the Tuskegee Institute to irrigate and manage the the industrial crops he developed in the Sudan. The de Vilmorins returned to Paris, where Philippe would soon marry another member of French society, the illegitimate daughter of King Alphonso XIII of Spain. By 1911 he had organized the fourth Congress of Geneticists in Paris 5, 6. Hunt’s work was instrumental in the development of the Sennar Dam, which was under construction in 1923 when a larger such project drew him away. Plans to construct the world’s largest dam, in the American southwest on the mighty Colorado River, appealed to Leigh Hunt’s sense of opportunity. He was convinced that the inexpensive power and water likely to result from Hoover Dam would make the new, nearby town of Las Vegas irresistible as a resort destination 7. Drawn by the Mojave Desert as he had been to the arid Sudan, at age 68 Leigh Hunt moved again with his wife and family, this time to Las Vegas in 1923. Beginning by sending an emissary to the small area towns, Hunt soon bought mining claims in Overton and Eldorado Canyon, all near Las Vegas. In Las Vegas he began his third and final empire, quietly buying large swaths of the Las Vegas valley, much of it away from the city, on Highway 91. Hunt purchased two residences in Las Vegas. In town, he built a magnificent home on East Fremont Street, at 9th. At that time, the pavement ended at 6th street. The Hunt home was on an extraordinarily large lot. Leigh Hunt proved his botanist background as he grew exotic shrubbery unprecedented in the area. The grounds were known to be exceptionally green and welcoming, with an English gardener employed full-time on the property. The home was visited by President Hoover himself in 1933, when he stopped in to see his cousin, Leigh Hunt’s wife Jessie Noble Hunt. In 1929 the Hunt group also purchased the Pine Creek Ranch as a weekend home, in the Spring Mountain Range. Pine Creek, is now within Red Rock National Conservation Area near Spring Mountain Ranch State Park. A scenic escape 23 miles west of Las Vegas, the Pine Creek ranch saw the Hunts as its last private residents. Returning also to his earlier profession of mining, Hunt bought and developed many claims in the desert surrounding Las Vegas. It was in such a mine in Eldorado Canyon that Leigh S. J. Hunt fell from a ladder, incurring an injury which hastened his demise the late following year, 1933 8. Hoover Dam was in mid-construction and Lake Mead was just filling; the population of Las Vegas was only about 5,000. The visionary had not lived to see the predictions of his final empire come true. Leigh Hunt was cremated according to his wishes, and his ashes were initially interred at the prestigious Forest Lawn cemetery in Glendale, California. But in 1933, the ever-loyal Las Vegas secretary to the Hunt businesses, Walter S. Hunsaker, carried out Leigh Hunt’s final instructions. That was when Leigh Hunt’s widow Jessie Noble Hunt, Walther Hunsaker and two other witnesses sailed a small boat out into the middle of Lake Mead, then newly forming by construction of Hoover Dam. There they complied with his the final wishes of the empire builder. The ashes of the international empire builder who brought about the development of the Las Vegas Strip were spread on Lake Mead. By that time Henry had served as a Captain in the American Expeditionary Forces after joining in 1917 to defend Paris, fighting and earning two Fourragere in the Second Battle of Marne. Henry Hunt was an acquaintance of Prince Louis II of Monaco, who also was a highly decorated Captain, in the French Army, at the Battle of Marne. Henry Hunt had become friendly with the new breed of stunt pilots who gained notoriety in World War I. When they went to South America after the war to start the Air Mail service in Chile and Argentina, Henry also headed south. In Brazil he joined the expedition to survey for the transcontinental railroad. During this time he made various investments in gold mines which became profitable. He raised capital and aided in the modification of Brazilian securities law, helping to create the system of various classes of share ownership. In 1923 Henry convinced the stunning young Louise de Vilmorin, then engaged to famed pilot Antoine de St. Exupery, to break her engagement with the flyer and marry Hunt instead. In 1925 Henry Hunt and his young wife flew in to Las Vegas on a biplane which landed at the Las Vegas airport on land his father owned. The pair quickly produced three daughters while Henry continued to manage the business affairs of the family in several countries. Louise, meanwhile, grew bored with the tiny town of Las Vegas. To deal with her solitude, she wrote letters to her friend Jean Cocteau back in France. The Hunts moved back to Paris in 1931. Henry and Louise are mentioned in accounts of dinner parties in Paris’s literary society in 1933 9. They divorced in 1937. Their three daughters would remain with Henry. Remaining close to the family of his former wife, Henry Leigh Hunt remained in Europe for several years. He was an officer of National City Bank of New York’s Paris branch from 1931 throughout World War II. By 1937 his passport’s additional ten pages were stamped full. He wrote weekly intelligence reports to major banks in New York, reporting of conversations with “General X”, or a host of diplomats in his travels, always gathering information on the pending war, reporting it to his banking contacts in New York. He would remain in Paris until late October of 1941, over a year into the Nazi occupation. His extensive connections then afforded him the ability to escape back to the US with his daughters and family friends, the General Charles de Chambrun and his wife. Hunt ochestrated a two-week-long pathway through Vichy France, eventually secreting everyone across the the borders of Spain and Portugal, boarding the group on the HMS Exeter on her final Atlantic voyage to New York. Arriving in the US, Henry assisted in settling his friends in Washington, where General de Chambrun became a valuable asset to the French Embassy. Henry Hunt then returned to Las Vegas. 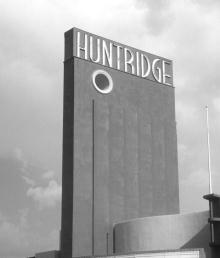 There he used his considerable influence with the War Department to garner building materials and labor which were in short supply under strict wartime rationing of the US Office of Price Administration, and constructed Huntridge neighborhood, one of the first tract housing neighborhoods in Las Vegas, and the Huntridge Theater on land inherited from his father. The theater had a massive sign. At seventy-five feet, it was the tallest sign off the Strip. Investors included Dr. Francis Griffin and his wife, actress Irene Dunne, who had co-starred with Cary Grant in the hit film The Awful Truth. Actress Loretta Young also was a partner in the theater. Henry Leigh Hunt also filed some of the first maps planning for residentiual development on Las Vegas Blvd. Never marrying another, Henry Leigh Hunt received letters addressed to homes he held throughout most of his life in New York, London, Paris, Santa Barbara and Las Vegas. His photo and name almost invisible, his business endeavors are everywhere. By 1950 he had had a long successful career, and had become the prototypical international man of mystery. Henry Leigh Hunt gradually sold and leased the land and mines held by his family. Highway 91, where Leigh Hunt had purchased such vast plots with profits from international business, had become the Las Vegas Strip. Famous Las Vegas resorts, including the Stardust, Riviera, Desert Inn, Sahara, El Rancho, the International, the Landmark, the Desert Inn, even the Las Vegas Country Club and the Las Vegas Convention Center bought or leased their locations from Hunt. 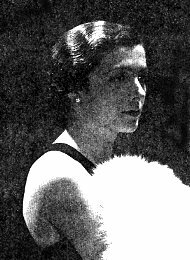 In 1938, Hunt’s ex-wife Louise de Vilmorin married a wealthy Hungarian Count in Bratislava, but divorced again a few years later. She returned to Paris as World War II separated her from her children in the US. 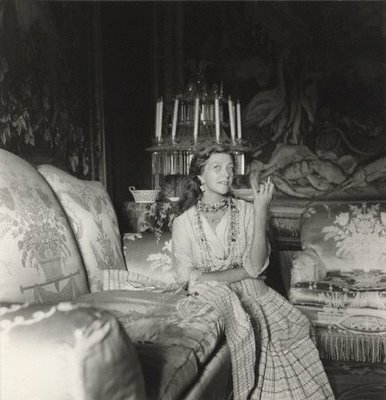 Louise de Vilmorin would become, over the years, a famous novelist, poet, journalist and salonist in her family’s landmark estate, Chateau de Verrières-le-Buisson on the outskirts of the City of Light. On March 30, 1955 Grace Kelly won the Academy Award® for her role in “The Country Girl”. On April 11, she was visiting Las Vegas, promoting To Catch a Thief, which had been filmed in Monaco a few years earlier. The film was then in theaters, and co-star Cary Grant and others joined Kelly at a photo shoot at the Sahara Hotel. At the same time, Prince Rainier III of Monaco was arranging for a visit to his Principality by Louise de Vilmorin. Louise had just been notified that she had won the Prince Pierre of Monaco Literary Award, wich was created in Monaco in 1951 and named for the Prince’s father. The award was to be presented to her by Prince Rainier III himself. Arriving in Monte Carlo on April 27, Louise de Vilmorin lunched, conversed and enjoyed the opera at Salle Garnier with young Prince Rainier III. She took tea with the Aga Khan, and enjoyed Monte Carlo for a few days. Grace Kelly left Las Vegas for Cannes via Paris, at the behest of Hollywood publicist, friend and journalist Rupert Allan. She had declined Allen’s suggestion of a photo shoot at the Palace of Monaco with Prince Rainier, citing a previous commitment to attend a celebration event at the Film Festival. Editor of Paris Match magazine. Galante rode the train with Kelly from Paris to Cannes, where they were to meet Galante’s wife, Olivia de Haviland. While en route on the train, Grace Kelly famously agreed to Pierre Galante’s suggestion that the photo shoot which Rupert Allen had mentioned could take place with a minor schedule change. She apparently acquiesced when Galante suggested including invitations to others at Cannes to visit Monaco as well. At about the time Grace Kelly had gone to meet her train in Paris bound for Cannes, Louise de Vilmorin left Monaco with the Prince Pierre of Monaco literary award, and the accompanying endowment of one million francs. That’s also when, on May 2, 1955, Louise’s long-divorced former husband Henry Leigh Hunt was nominated for the post of Honorary Consul of the Principality of Monaco, at Las Vegas. Tasked with gathering the necessary information to appoint Hunt was Gerard Van Barkaloo Hale, Consul General of Monaco in Santa Barbara, California. Hale, a wealthy and renowned portrait and landscape painter, was famous for having rebuilt, in 1947, the French village of Maille after it was decimated by the Nazis. He was also familiar with Henry, probably through Louise. Hardly had Consul General Hale sent in the appropriate request when the Palace confirmed approval of the appointment, on May 10, 1955. Even Consul General Hale was surprised at how “favorably and rapidly” the approval arrived from the Palace. This immediately set in motion in Monaco the months-long legal process which is required by any such appointment. Grace Kelly, by this time an Academy Award®-winning actress, had led the American delegation to Cannes that year. Toward the end of the festival, she made her way to Monaco for the now-famous meeting and photo shoot with Prince Rainier III, on May 6, 1955. Louise de Vilmorin, Olivia de Haviland. A few weeks later, on June 3, Louise de Vilmorin and Olivia de Haviland would meet in Paris for a joint book signing event, attended by the such notables as the President Coty of France. HSH Prince Rainier III traveled to New York in December of 1955. His Highness and Miss Kelly were seen together much throughout the holidays. They announced their engagement on January 5, at the Philadelphia Country Club. An engagement party followed days later at the Waldorf Astoria in New York City. Amid all of the excitement, travel and activity in New York, Prince Rainier signed the certificate appointing Henry Leigh Hunt as his Honorary Consul on December 30, 1955. That very day a dinner party was held by Grace Kelly in Manhattan, to introduce the Prince to her friends. 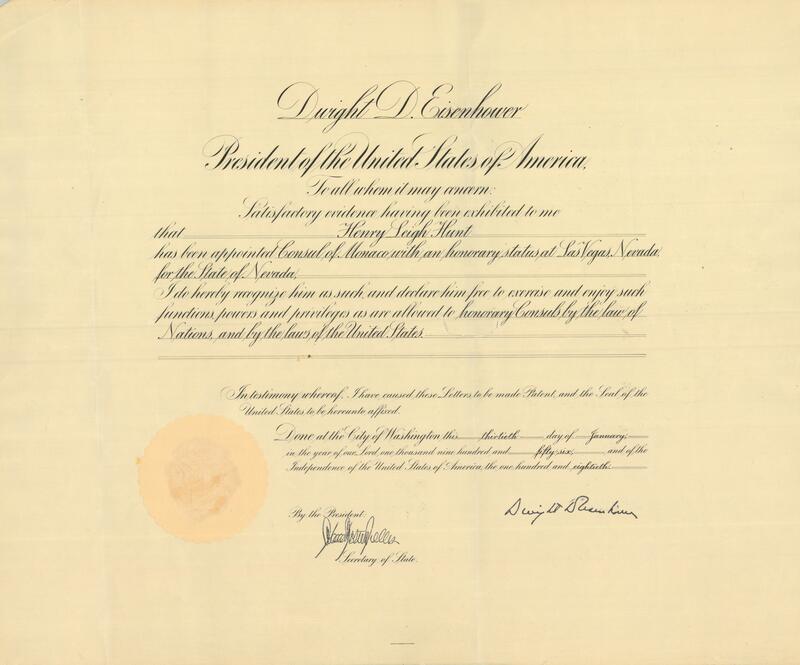 Confirmation of the consular appointment was made by exequatur signed by President Dwight D. Eisenhower himself, and Secretary of State John Foster Dulles, on January 30, 1956. Louise returned to Monaco a year after receiving her award. She was invited by the Prince, and on assignment of Pierre Galante, to write the narrative for Marie Claire magazine of the April 17-18, 1956 wedding of HSH Prince Rainier III and Miss Grace Kelly. The title of the article was “J’étais du Mariage (I was at the Marriage)”. Immediately following the wedding, de Vilmorin attended the Cannes Film Festival, for which she had been made a Jurist. Returning that same time as President of the Cannes Film Festival for a third year was her old friend, Jean Cocteau, the recipient of her letters from Las Vegas 30 years earlier. Rupert Allan was also in attendance. Rupert Allan had been invited by Grace Kelly to join her entourage on board the Constitution, when it set sail with the Kelly family on board, for the Royal wedding in Monaco. After the wedding, Allan became the public relations representative of the Palace of Monaco in California. He provided PR materials to many, including Consul Henry Leigh Hunt in Las Vegas. Later he was appointed Consul General of Monaco in Los Angeles. In 1989 Prince Rainier III made him Chevalier in the Order of Grimaldi for his service. He passed away in 1991 at the age of 78. Henry Leigh Hunt served as Honorary Consul in Las Vegas until his retirement in 1963, when he returned to France. He lived his final years at his home just south of Paris. Louise was a frequent visitor to his dinner table until her sudden death in 1969. Henry attended the funeral in Paris. Henry died in paris in 1972 at the age of 86. Several Las Vegas landmarks still bear his name, and the Huntridge neighborhood is a much-loved part of vintage Las Vegas. Louise de Vilmorin, granddaughter of a King, daughter of a scientist aristocrat, wife to Consul and Count, once a Las Vegan, always the toast of Paris, made history. She lived out the final chapter of her extraordinary life as the long-time companion of French Cultural Affairs Minister André Malreaux. She died in 1969 at her family’s ancestral home, just a few miles from the home of Henry Leigh Hunt. Louise de Vilmorin and Consul Henry Leigh Hunt have many descendents living in the US.